Visit official website of GCET and click on the admit card link. Enter name, mail ID , phone number, and state. Click on submit and download the admit card. 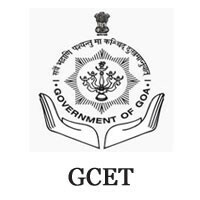 Availability: The Admit Card for GCET/ GOA CET will be available offline only. From 25th March 2019 to 30th March 2019 while submitting the application form, candidate will be provided the GCET 2019 Admit Card. That is already declared bt the DTE in their official website. No Postal: The admission committee will not send GCET 2019 Admit Card to any candidate individually through postal. *Note: Candidate have to keep their origianl amdit card safe as it is not avilable online. And DTE will not provide any duplicate Admit Card to any candidate. Step 1: Visit the designated centre of DTE, Goa. Step 2: Submit the filled-in Application Form to the authority. Step 3: Get your ‘Photo Admit Card’ from the authority. Step 4: Check all the details printed on the Admit Card carefully. Step 5: In case of any discrepancy immediately contact the authority. Step 6: Keep safe of two-three copies of Admit Card till the admission process. GCET 2019 Admit Card contains the Candidate’s Name, Registration Number, Application Number, Postal Address and Contact Details, Examination Centre Details, Exam Timing, Candidate’s Photograph with the Digital Signature. DTE, the exam conducting authority, will issue the GCET 2019 Admit Card to the candidates in person only at the selected location (DTE and Ravindra Bhavan). DTE will issue the photo Admit Card for GCET 2019, only to those candidates who will complete the application form process of GCET along with the payment of exam fee, self-attested copies of the prescribed documents and three passport size photographs. Candidates are required to check their details along with the photograph on the GCET 2019 Admit Card - GCET 2019 Exam Centres, GCET 2019 Exam date, Venue, and personal particulars will be mentioned on GCET 2019 Admit Card. In the case of any discrepancy, candidates need to inform DTE, Goa office immediately. Applicants need to preserve GCET Admit Card because it is required at the time of Examination, Counselling and Admission.